At Platinum, we believe that graphic design has been one of the unique designing service for ages. Our graphic designer(s) are not only focussed on their projects but believe in finishing one project before jumping onto others giving a successful and satisfying design to our clients. 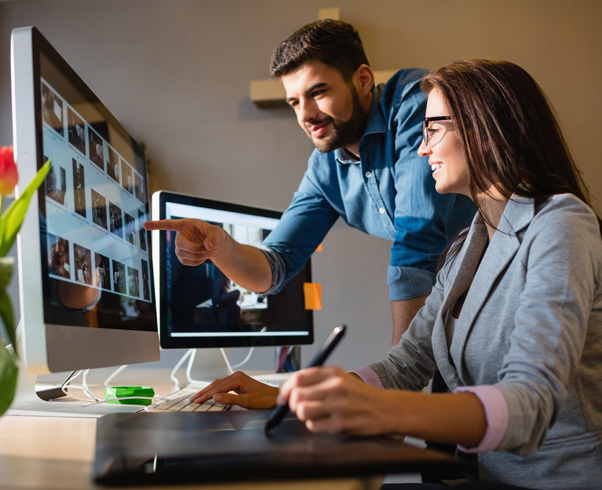 Being the leading graphic designers in Melbourne we believe that the role that graphic design plays a vital role in designing your brand image and a blend of words with visual clues. A good and successful design is ideally created to go unnoticed yet blends in and on a very subtle basis enhance the overall portfolio. “Platinum presented us very creative designs, were professional and incredibly efficient in helping us to design our entire portfolio. We have no hesitation in recommending them to anyone”. Our graphic designers follow the mantra that we should strive to remain beautifully focused and execute it brilliantly. 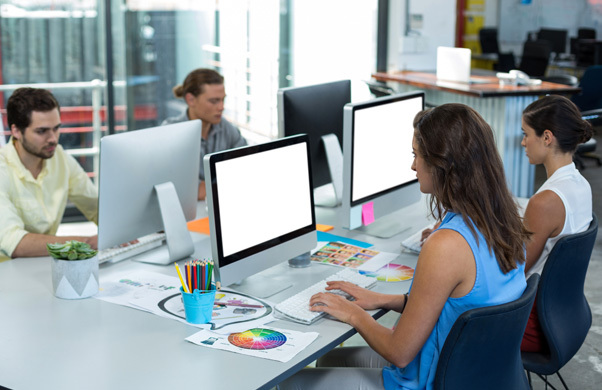 Graphic design is a collaborative process which involves teams sitting across and brainstorming which brings us closer to you and your business. The quality of our work is a direct result of our ability to listen and understand your core values. Our goal – to create stunning visuals that best communicate your message and reflect your brand’s unique identity. Our graphic designers in Melbourne integrate their knowledge of graphic design across a wide range of disciplines, including print design, branding, web design, animation, infographics, direct mail, packaging design, exhibition design and experiential design. Charting out a unique combination of deep research, industry insight, strategy and creativity, it has helped us to forge long-term relationships with our clients delivering high-value graphic design solutions. All you need to do is communicate your business vision and mission, syncing with your business values, our designers create a visual representative and brand identity. To create a memorable design that symbolizes your brand, our designers brainstorm and go in detail for market research to understand the type of graphics that would speak to your audience most effectively. Having offices located around in Melbourne, we bring the best. Our team coordinates and share ideas to give the best output and amazing graphic design solutions. We’d love to work with you on your upcoming projects, so get in touch with us via the contact form and we’ll contact you.